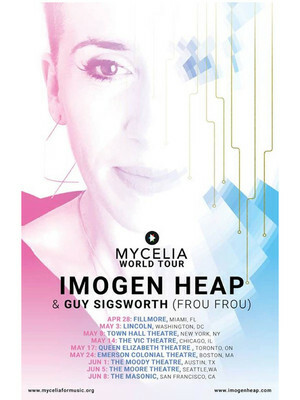 Forward-thinking electro pop pioneer Imogen Heap returns to the stage for the first time in nine years! In keeping with her innovative creative spirit, the Mycelia World Tour celebrates the launch of Mycelia's Creative Passport, an artist-led digital container that holds profile information, works, acknowledgements and payment processes that aid music makers in getting their works out into the constant technologically-shifting industry and promote fair operating practices. The tour features live performances from Frou Frou, Heap's experimental electronic outfit with composer Guy Sigworth, as well as moderated talks in which Heap is set to explore how technology influences music and vice versa, and music maker and family coding workshops. 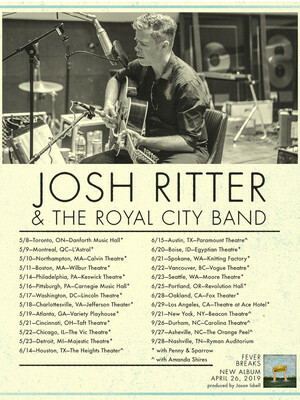 Named in 2006 as one of the 100 Greatest Living Songwriters, Josh Ritter's work is reminiscent of Leonard Cohen and has seen this exceptionally talented artist go from strength to strength since the release of his self-named first album in 1999. He has become an experienced touring artist, having performed internationally with Irish band The Frames, and scoring himself a huge word-of-mouth following in the process. 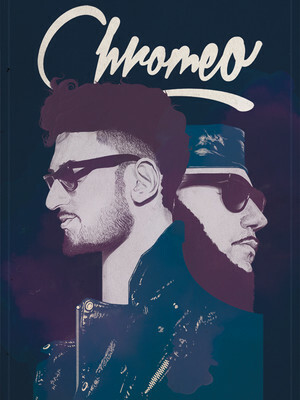 Electro-funk duo Chromeo formed in Montreal in the early 21st century, a project of former hip hop producers Dave One and Pee Thug (news flash: not their given names!). Dave handled guitars and vocals; Pee was the talkbox-wielding synth specialist. 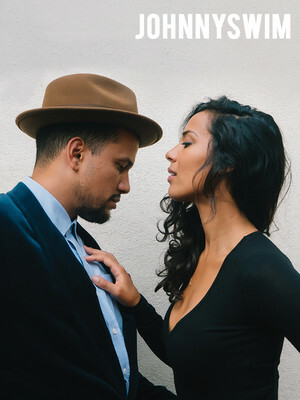 The Canadian duo which draws sounds from blue-eyed soul, dance music and rock are hitting the road once again! Perhaps best known as the composer of wistful French cinema gem Amelie, Yann Tiersen's work spans an impressive breadth of film soundtracks, collaborations and solo studio albums. Active since 1995, the multi-instrumentalist builds lush sonic worlds around the simplest and most satisfying of melodies, which cascade from his ivory-tickling fingertips to stir the very depths of the listener's soul. 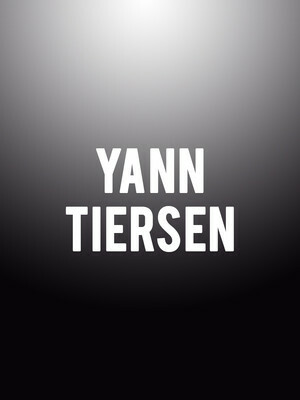 Timed to coincide with the February 2019 release of his brand new album All, Tiersen will be bringing his fresh material to US shores during a hotly a hotly anticipate European and North American tour.